These days, people are often strapped for time, cash and support that meets their unique needs for addiction recovery. The corporate and government employment scene generally keeps people very busy from 8AM to 5PM not including a sometimes lengthy commute. School schedules are often replete with a variety of course options in the morning but sparse selections at night. Finally, most people with children simply cannot or will not put their kids on hold during the day, even for much-needed treatment. These tight and varied schedule demands have caused the need for a paradigm shift in treatment. Many treatment providers have already started offering Outpatient programs to respond the issues of affordability, time and other clinical reasons. Even still, treatment centers are having to continually change how and what they are providing to their clients. Evening Outpatient Programs are one example of customizing treatment for the busy client. It can be extremely helpful for those who want to keep focused on their job or educational aspirations during the day rather than having to shift gears. EOP, like other outpatient programs, offers clients the opportunity to dig deep into the root causes of addiction with a counselor. One of the best aspects of EOP is that it’s a great way to close out the day with a recovery-oriented perspective in a group offering lighter fare, like Life Skills. On another note, these customized programs help to cut the excuses. For example, there are many high-functioning users out there who have managed to maintain employment, even successful employment, with their substance abuse issues. These people may find that EOP serves their needs without severely hindering their career dreams. Of course, whether an individual will be best-served by an Evening Outpatient program is a clinical decision and should be determined only by clinical staff. While EOP sounds like an easier and more convenient way out of addiction, the program should mirror daytime Outpatient in terms of quality of treatment and the “work” that clients engage in to start and maintain a successful path to recovery. The number of hours spent in facilitated groups is also the same between EOP and daytime Outpatient. If a person has opted into EOP, he or she may need to go through drug and alcohol detox and/or residential treatment before starting the program. Detox and residential programs usually do not have an evening only option, but could save an addict’s life. They are usually recommended when the severity of the addiction warrants a higher level of care. Even if you are a busy person, detox and residential care should not be avoided. Like day Outpatient treatment, EOP usually involves process groups and psycho-education classes. At Addiction Therapeutic Services, we are now offering Evening Outpatient Treatment. Our groups include: Relapse Prevention, Family Support Group, Healthy Boundaries, Process Group, and Life Skills which are facilitated by stellar therapists or counselors. 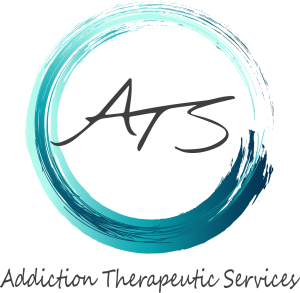 ATS believes that treatment is for everyone, and that the program schedule should reflect that. Contact us at (760) 322-1777 for more information on whether Evening Outpatient is the right program for you.